This is a chocolate banana bread recipe, super moist, super clever and super delish. 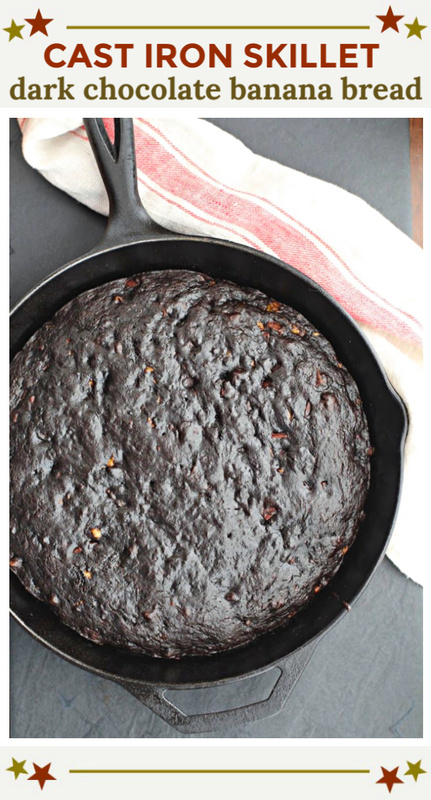 Dark chocolate and a cast iron skillet give this banana bread a stunning presentation. 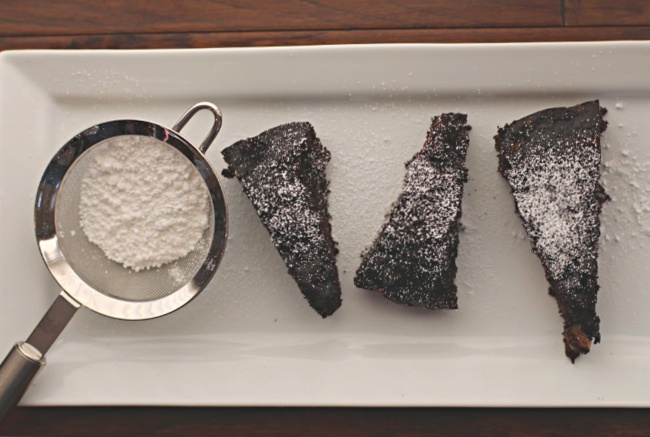 With cocoa and dark chocolate this is a lush, decadent chocolate bread experience. So how is everyone’s January going? It’s been a tad on the boring side at our household. Not complaining at all. Nice and relaxing, just how we like it after the holidays. I’ve been catching up on my reading. Our book club read this month is The Thirteenth Tale. Anyone read it? Gothic, a bit mysterious, and quite a story. That’s somewhat how I feel about this chocolate banana bread recipe. Baked in a cast iron skillet, it’s a bit gothic in appearance, a bit mysterious with its dark rich appearance and quite a delicious story after the dust has settled. Before I attempted to bake this chocolate banana bread in my cast iron skillet, I visited a few similar recipes to confirm that I knew what I was doing. Do you spray the skillet with Pam? Leave it dry? Coat the bottom of the pan with parchment? Almost everything I read indicated that if your cast iron skillet is well seasoned, then the bread should bake just fine without any treatment. I’ve had my skillet for years, use it often and just assume that I’ve done my job correctly and the skillet is functioning as a cast iron skillet should. But I was still nervous about the theory. To be safe, I cut a round of parchment paper to fit on the bottom of my skillet and it worked beautifully when I cut the first wedge for serving. I just hate to waste food, and didn’t want to dump a sticky mess in the trash, so will probably continue this method. If you’ve used your cast iron skillet to bake bread, ‘d love to hear from you about your experience. This recipe is absolutely decadent. A good dose of olive oil and the bananas insure it’ll be beautifully moist. Both cocoa and chopped dark chocolate make this a chocolate lover’s dream. The addition of sour cream brings a welcome tangy creaminess and the bits of pecan remind you that you’re still in love with comfort food. An easy recipe, this is perfect for about any event. This would be a big hit for a ladies luncheon, or a popular offering at your next book club gathering. And living up to its quick bread reputation, this is an easy recipe. I served this two ways, once with a dollop of whipped cream, and another time simply sprinkled with powdered sugar. Both were delicious options. I hope you give this dark chocolate banana bread recipe a try, and if you do please come back and give the recipe a star rating. And leave a comment about your experience with the recipe. And if you have a favorite chocolate banana bread recipe, let me know, I’d love to give it a try. 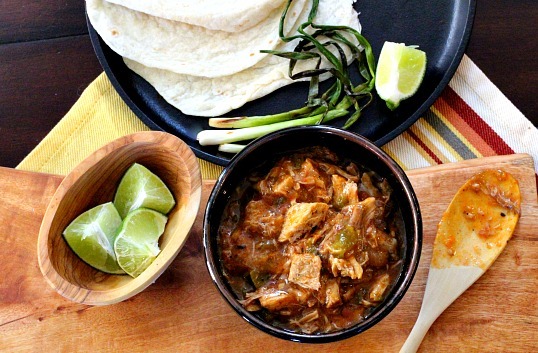 I’m sharing this over at Meal Plan Monday … check it out. 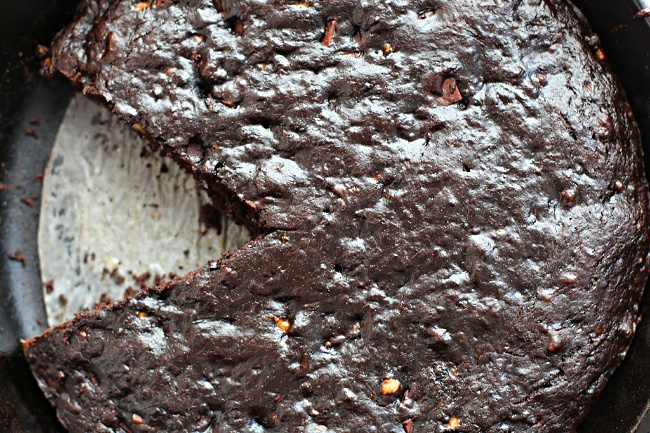 This is a chocolate banana bread recipe, super moist, super clever and super delish. 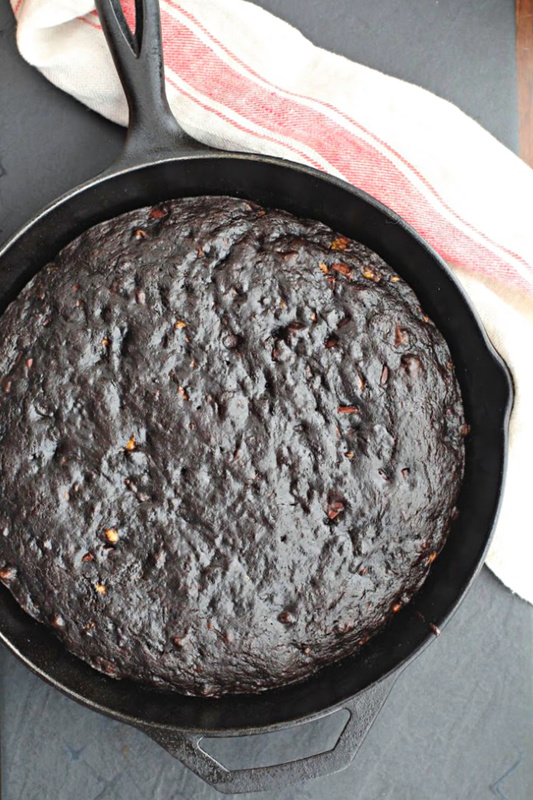 Dark chocolate and a cast iron skillet give this banana bread a stunning presentation. With cocoa and dark chocolate this is a lush decadent chocolate bread experience. In a large bowl, whisk together the flour, cocoa, brown sugar, baking soda, and salt. In a separate bowl, mix together the olive oil, eggs, mashed banana, sour cream, and vanilla. Pour the banana mixture into the flour mixture and fold with a spatula until just combined. Fold in the chocolate and pecans (if using), again just until combined. Scrape the batter into the prepared skillet. Serve with a dollop of whipped cream or sprinkled with powdered sugar. Looks so unique and delicious! I ponned it to make soon as I have some super ripe bananas. My, my that looks good. 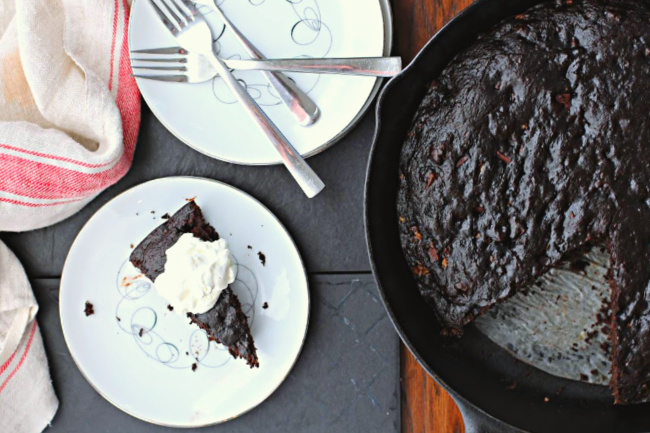 I love baking in my cast iron skillet and this recipe sounds right up my alley. Ripe bananas are calling my name! This is the only time I’ve baked in my cast iron. You’ll have to fill me in on more recipes. This cake looks so rich and delicious! I’ve never baked a cake in a cast iron skillet though. I’ve read so much about it though. I need to just jump in and give it a go! Hope you’re doing well in Colorado Lea Ann! Hi Roz. Let me know what you think about the recipe. 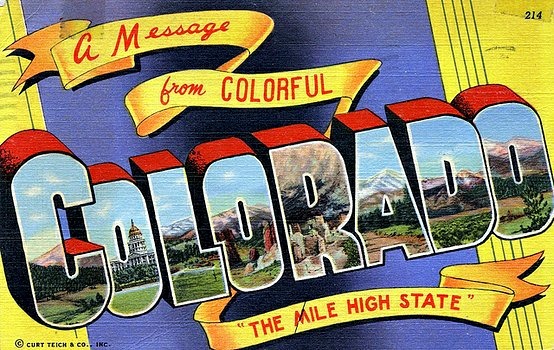 All is well here in Colorado – lots of snow, just the way we like it. I’ve only made brownies in a cast iron skillet and your chocolate banana bread look just as delicious and moist, and equally dessert-worthy! Thank you Susan. It most certainly was popular and will be a regular in my dessert lineup. 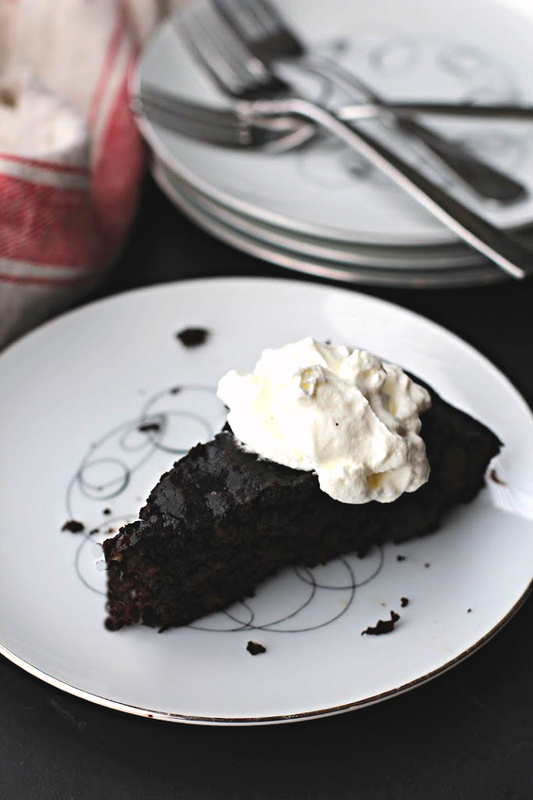 Sounds good Lea Ann, I like a simple cake like this…perhaps with a scoop of vanilla ice cream.